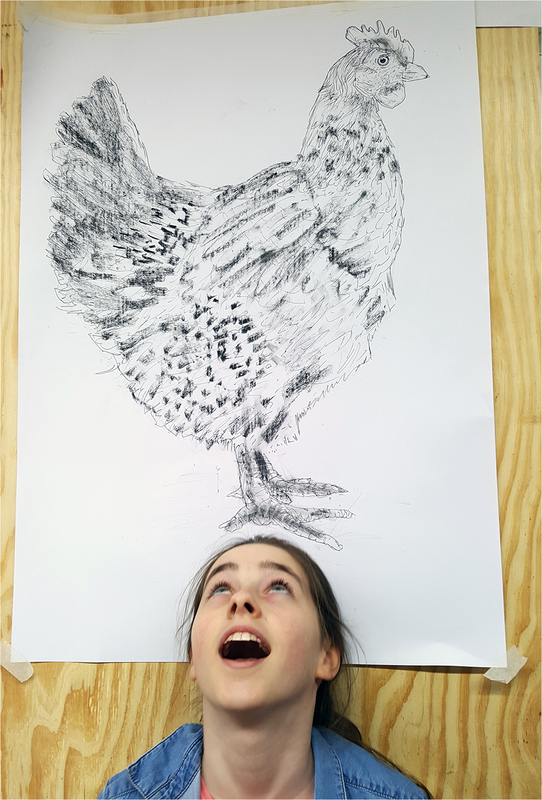 The aim of this session for teenagers aged 10, 11 and 12 at the AccessArt Art Lab was to enable them to look at an image (in this case photocopies of chickens) and to see for themselves how the image can be simplified into simple shapes to help understand the proportions of the forms. 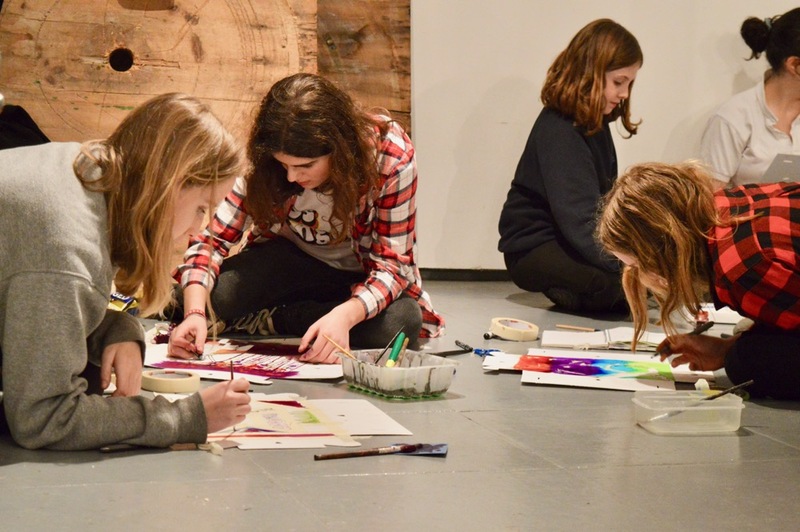 We then went on to make larger drawings on A1 paper, using our knowledge of the ratios and proportions of the subject matter to make drawings which fit comfortably on the paper (a common problem for students is that their drawings often fall off or are “hemmed-in” by the sheet!). 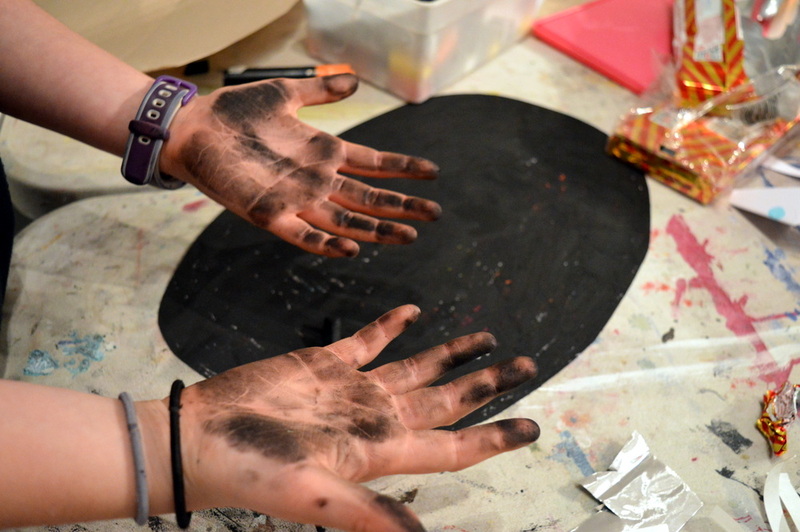 We also worked to ensure that our drawings remained expressive and individual, despite the emphasis on geometry. This resource shares our processes and outcomes. How long did you have for this exercise? We had 1 hour 15 minutes – plenty of time for a small group – maybe longer for a larger group? BTW are you Weston Park Sheffield? Curious as that is where i went to my first art lessons!